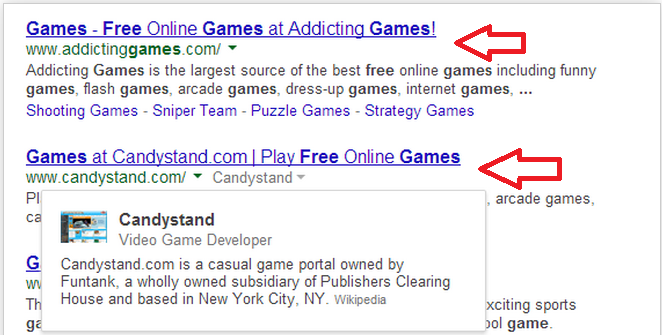 Google Officially Updates the Desktop Search - Underlines are Removed! 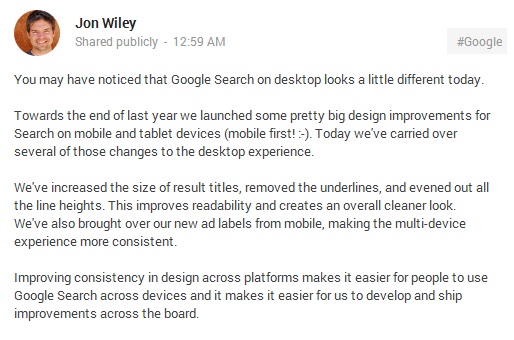 Google's Jon Wiley announced recently that Google has finally launched the new search design for desktop which it has been testing from quite a long time. This new design was implemented to enhance the desktop experience of the users. 1- The size of the result titles are increased. 2- The underlines in the titles are removed. 3- The line heights have been evened out. 4- Readability is improved with this much cleaner look. 5- The ad labels are changed and have a new look.